Laundry gets a bad rap. It might not be the best job in the household, but it’s hard to find a more pleasant thing than fresh clothing, towels and bed linens. Is your laundry room up to snuff for such an important task? Or are your washer and dryer relegated to the saddest room in your home? Laundry rooms are usually the last place in the house to merit any kind of makeover effort. They’re more often function-first areas where dirty things go to become clean again. But if you think about your laundry area as yet another possibility for improving your home, you might find a host of possibilities for creating something you’ll not just tolerate, but maybe even love. Clutter is a big problem in many laundry rooms. Along with dirty towels, sheets and other things waiting for their turn in the tub, you might find shoes, backpacks or a few dog toys. A messy room is inherently unpleasant. So it's best to find homes for this unnecessary clutter elsewhere in the house, and add containers to store clutter that lives there sometimes. Laundry detergent and fabric softener bottles teetering on the back of the washing machine might keep them close at hand, but chances are you’ll also spend time picking them up after the spin cycle makes them topple. A cabinet or shelf over the washer is one way to handle this problem. But you can also use something as easy as a hook on the wall, if you buy supplies with handles. If not, baskets or racks on the wall can hold your detergent so they don't fall. Sorting your dirty laundry is one thing, but what about sorting what’s clean? You don’t put all of your whites into one room, but you do return all towels to the linen closet. 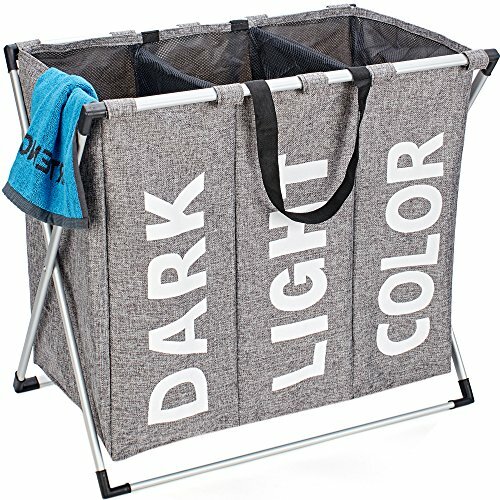 Sort your clean clothes as you fold, using baskets organized by where the contents are headed. That works really well when you assign everyone in the house, one or two baskets to put away. The dreaded missing sock is a problem as old as the washing machine itself. It’s like playing the match game, so it's easier to set them aside until you have time to find their mates. 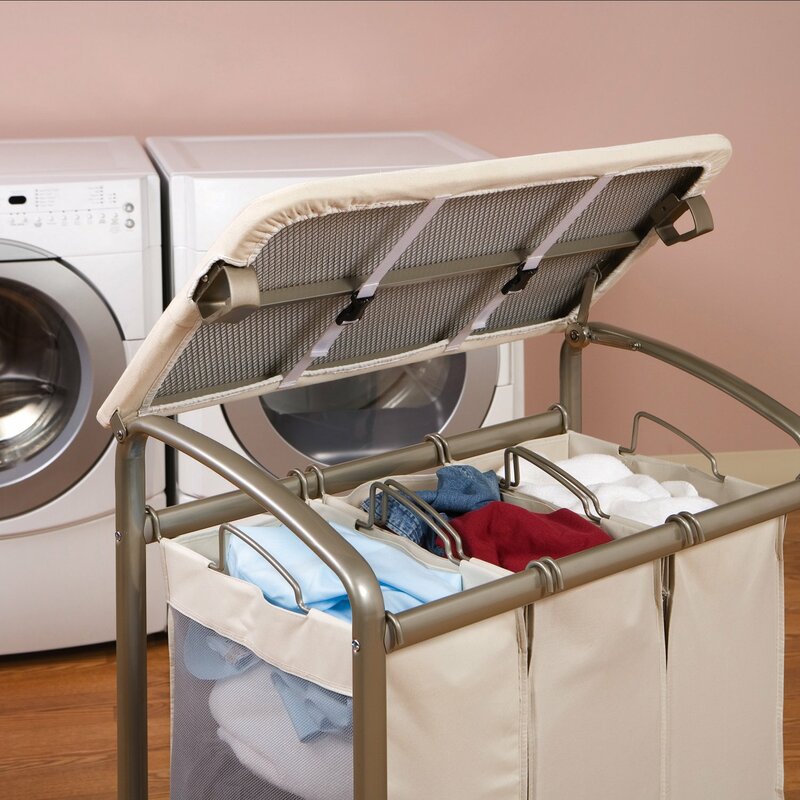 By keeping a basket or hanging bag in the laundry room, you'll stop wasting time looking for the runaways. Then you can sort through them occasionally, and find a few pairs to send back into the clean clothes rotation. If everyone saved every bit of spare change found in pockets, there would be at least enough to pay for a great lunch at a nice bistro. Keep a treasure container in the laundry room to store all of the coins, paperclips, hair ties, and other goodies pulled from pockets. When someone wonders, “Where’s my fifty cents?” they’ll know just where to look. But wait. 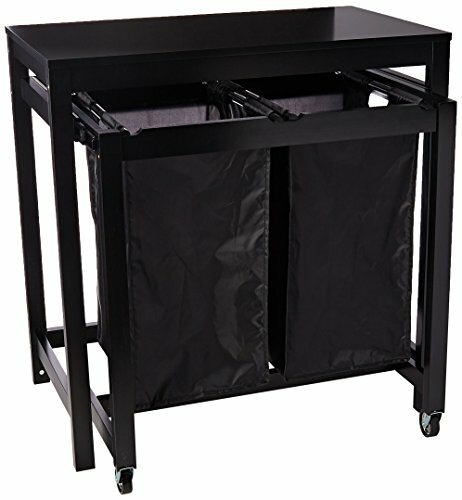 If you're getting some a new laundry hamper, why not get one with a table on top? 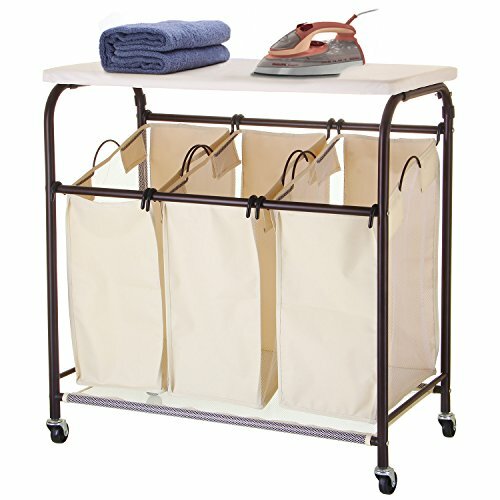 Few things improve a laundry room like a folding table. Sure, you can fold clothes on top of the dryer, at least with a traditional laundry set. But a table gives you more space to work, and has room for a laundry basket or two, as well. It doesn’t have to be large; just enough space to work comfortably without losing socks off the edge is all that you need. If your room isn't large enough, you can attach a folding table to the wall that's there when you need it, but otherwise, frees up needed floor space. Want to really perk up your laundry room? How about new lighting? If your room is like most others, the light fixture in your laundry is utilitarian, at best. But if you replace it with something attractive, you’ll boost your own morale and make the room more beautiful. Good lighting makes working easier, too. So if one overhead light isn’t enough to brighten it up, add more. Your laundry room doesn’t have to be the fanciest on the block, but it doesn’t have to be depressing, either. Think about it as a new place to flex your decor muscles and create something beautiful! Paint those walls, add an attractive light fixture, and consider new cabinetry, too. 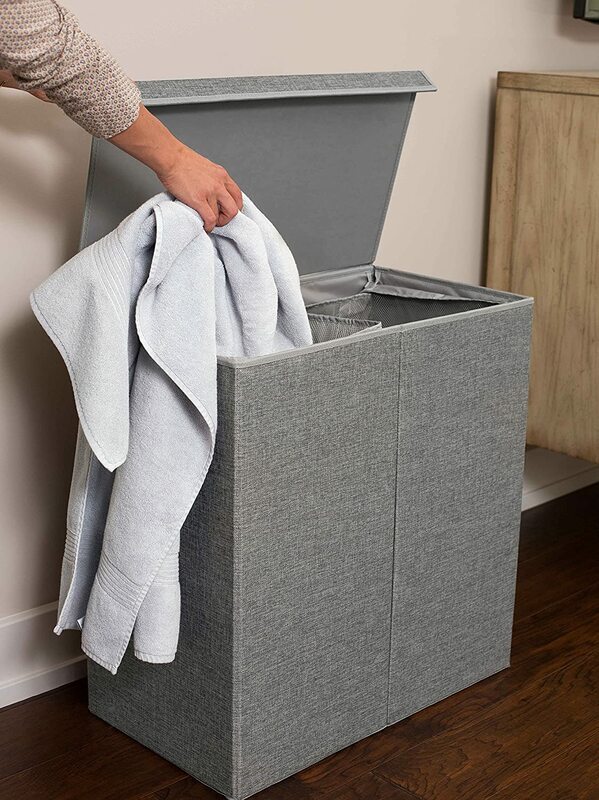 The more you like the way the room looks and feels, the more likely you’ll get at least a little enjoyment out of transforming dirty clothes into fresh, clean laundry. Do you love your laundry room, or does the idea of it make you long for any other job in the house? We'd love to hear about updates you've made, or are dreaming about.